Caitlin is twelve, and while her single mother works long hours on the Seattle docks, she spends much time alone. She visits the aquarium every day after school to wait for her mother and to observe the fish she grows to identify with. The appearance there of an older man who befriends her sets off a series of staggering events that force Caitlin to question everything she understands about family, trust, love and forgiveness. Vann writes spare yet lyrical prose that underscores Caitlin’s resiliency and strength. In this extraordinarily powerful novel, “What do we owe for what has come before us?” is answered with shocking consequences. Twelve year old Caitlin lives alone with her mother--a docker at the local container port--in subsidized housing next to an airport in Seattle. Each day, while she waits to be picked up after school, Caitlin visits the local aquarium to study the fish. Gazing at the creatures within the watery depths, Caitlin accesses a shimmering universe beyond her own. 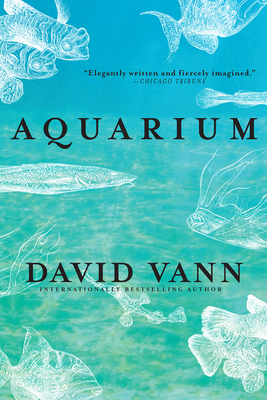 When she befriends an old man at the tanks one day, who seems as enamored of the fish as she, Caitlin cracks open a dark family secret and propels her once-blissful relationship with her mother toward a precipice of terrifying consequence.